4 Requirements for Read whatsapp message/ text without being online. 5.2 Final Word Of Shh Read whats SMS/ Text Without Being Online. 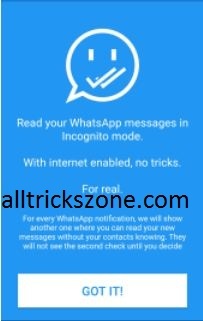 Shh – Whatsapp Incognito is the application which is also available on the google play store officially which is used to Read WhatsApp Message Secretly without Sender Knowing. It is a app in which you can able to see what your friend has message you on whatsapp and you can read her/his message without being Online on whatsapp as well your internet connection is on. Isn’t it Amazing? This application work only with the official WhatsApp App Apk. and you can’t run this app if you are using GBWhatsApp, WhatsApp Plus + because it bind with different package name. This application is having 4.5 Stars On Google Play Store. Previous we have shared – Set Password On Whatsaap For Secure Chat Conversations. In you android Phone Whenever You will get a messages on Whatsapp this application will show you notification that you have received notification messages on whatsapp without your friend’s contact knowing and you just need to enable the notification control in this application, this application can easily send you the messages which you will get on Whatsapp. There is no banning issue in this application because this is a Official app of WhatsApp that’s why you can use this application without facing any Errors. You can also Hide last seen and Blue ticks from user along with groups messages. Also Read – How to Enable Chat Heads in Whatsapp. Material design & User Friendly and many active users in this application. Your Friend will not know that you are reading their message or being online. You can’t download media from Whatsapp incognito. 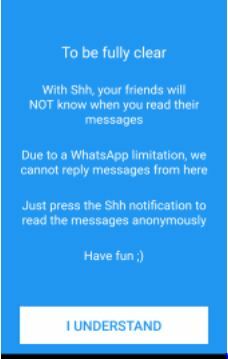 You can’t reply to the messages which you got on Whatsapp from Shh WhatsApp incognito. Requirements for Read whatsapp message/ text without being online. At First Download Shh WhatsApp Incognito App from above. Then Install Shh Whatsapp incognito app. After that Open and click on GOT IT ! As you see in below ScreenShot. After allowing the notification control click on I Understand. 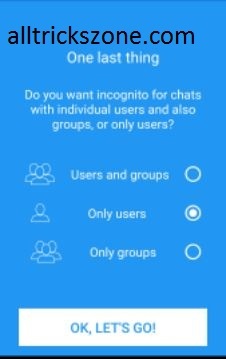 Then Select the Privacy to whom you want incognito for chats, Groups, OR Both and as well Broadcast. After that the Main screen will be appeared Whenever your friend will send you messages, then you will get the message on whatsApp incognito. How toHide Read Receipt In Whatsapp. Final Word Of Shh Read whats SMS/ Text Without Being Online. 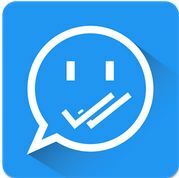 So Guys, this was the one of the best whatsapp android app, for Read Whatsapp SMS conversation Privately OR without being online. 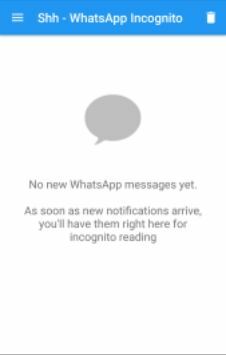 If you are using a WhatsApp messenger then i will suggest you to use Shh Whatsapp incognito app apk in which you can also Seen a message but you friend not able to see you online.